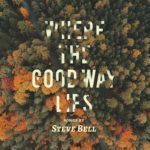 I hope you don’t mind a bit of shameless self-promotion, but my latest album, Where The Good Way Lies, has recently enjoyed some noteworthy affirmation, that being a great review in Faith Today magazine, and 10 award nominations for the Covenant Awards (Canadian Gospel Music Awards). 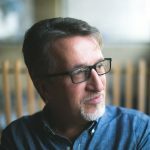 EARLIER THIS YEAR at the Break Forth Conference in Edmonton, I had the chance to take in the thought-provoking session “How Art and Culture Affect the Church” with Winnipeg singer-songwriter Steve Bell. He shared his passion for justice and truth. That passion is the lifeblood of his 20th album where he not only showcases his musicianship on ukulele, mandolin, guitar and trumpet, but also offers a lyrical depth that continues to grow—astonishing for such a veteran. This folk/roots album offers 13 songs, two of which are instrumentals and all backed by a plethora of instruments including accordion, saxophone, organ, dobro, French horn, harmonica and upright bass, just to name a few. Producers Bell, longtime partner Dave Zeglinski and Murray Pulver decided to go old school and record using analogue tape machines, and the result is a warm organic feast for the senses. The many fans of one of Canada’s most prominent Christian musicians will in no way be disappointed. If you haven’t purchased the new album yet, take advantage of the Christmas sale on offer until December 25 where all Steve’s CDs are available for $10 each. Go to the store at stevebell.com/store, make your selections and at check-out use the Promotion Code: 12345678910. The sale price will be applied. We bought the “Where the Good Way Lies” Vinyl Album at a recent Alberta concert. The depth and richness of the sound quality are equally matched with the soul and spirit of the songs.It’s become are “go to” album first thing in the morning and believe you me it’s in amongst a lot of No#1 greats. All the best to you on Awards Night!